I read this one a long time ago, but in light of the new movie coming out, I thought I’d revisit it. If you haven’t read it, you’re missing out! It looks like it’s going to be amazing. It also looks pretty true to the book, which is a bonus for book fans. Ender is a young boy on a future Earth, born after humankind has fought off two waves of attack from an alien species called the Formics (or the Buggers). Expecting an imminent third wave, Earth’s governments have begun training promising youngsters at a Battle School in space. Ender is one of these children – perhaps the best and brightest hope humanity has yet found. Training at Battle School is gruelling, from the athletic simulated battles in zero gravity, to the psychologically tailored video games, to the subtle mind games the teachers engineer. Ender is stretched to the limits of human capacity – almost to the breaking point – while the teachers struggle to find the balance point between the good of humanity and the good of one child. Ender is a fascinating character, embodying the tension between good and evil, mercy and ruthlessness in all of us. As a Sci-Fi book, Ender represents the finest of its genre, with plenty of action, suspense, and cool technology (which is even more impressive when you consider it was written in 1985). But Card goes beyond the fun aspects of alien warfare to delve deeply into the psychological implications. How far are we willing to go to safeguard our planet? How far can a mind be pushed before it breaks? I almost always advocate reading a book before seeing its movie adaptation, and this is definitely no exception. A lot of people haven’t – it’s highly underrated. 🙂 Thanks for commenting! I have such conflicted feelings about this movie. 1. I love science fiction 2. I HATE violence. 3. I’m so sick and tired of aliens being the enemy, and that we have to learn how to destroy them. I love what Carl Sagan said about E.T.s . He said that if they had the intelligence to be able to explore space, that they wouldn’t have wasted their time on violence. They are probably a LOT more developed than we are. I definitely agree. I totally understand the sentiment. That’s one thing I like about Ender’s Game: the author really chews on the moral and psychological dimensions of violence in a way I think you might agree with. As to your other concern about aliens … *SPOILER ALERT* the aliens are misunderstood for most of this book until the very end. Can’t wait! 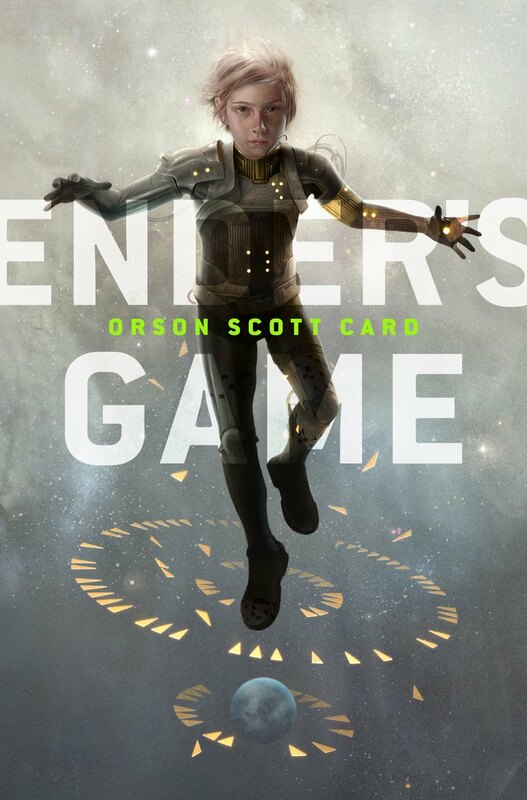 I loved Ender’s game. The sequel’s weren’t nearly so good, but I found the original book to be one of the best-structured novels I’ve ever read.